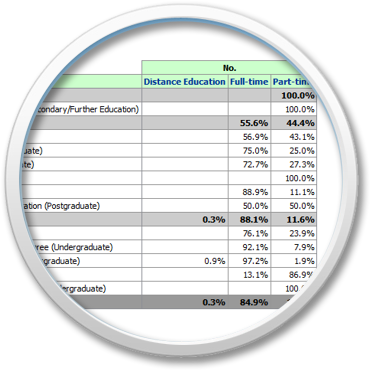 GMIT – An Oracle Business Intelligence based solution which enables the Galway Mayo Institute of Technology to gain into its students population retention and progression statistics. LetsHelp contacted Metalogic with a requirement to introduce a data analysis platform which would enable the college to analysis current and historical data on its student population. 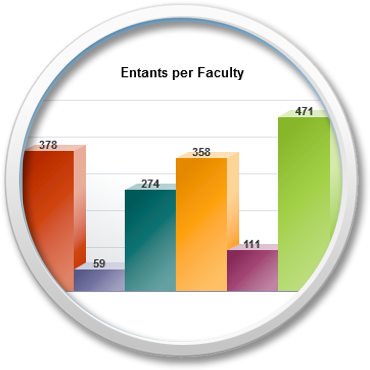 In particular, the college needed to collate and structure its data so as to facilitate analysis of retention and progression statistics. 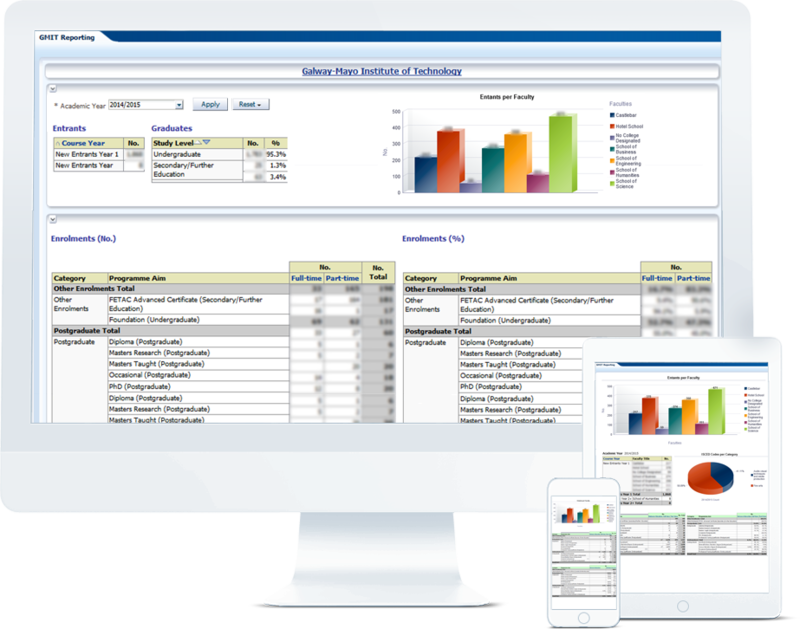 The GMIT solution is deployed on the Oracle database and Oracle Business Intelligence platform (OBIEE). Data is populated to the environment using the Oracle Data Integrator product. 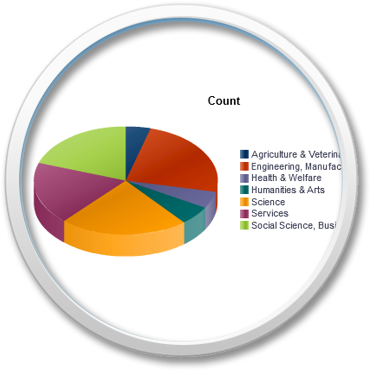 The GMIT solution features a number of dashboards that facilitate the analysis of new and historical data within a range of visualisations. 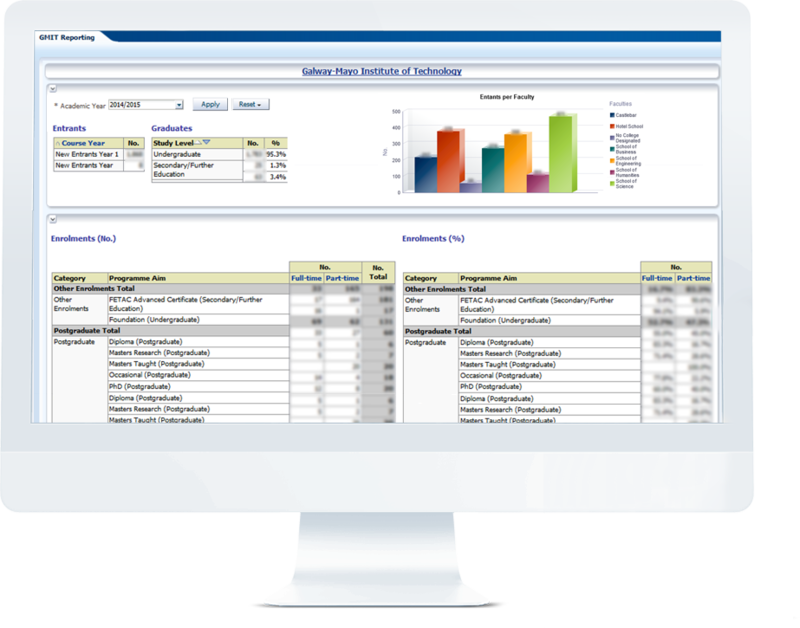 The solution facilitates adhoc reporting of data within the OBIEE solution. Reports can use base and derived\aggregate data populated within OBIEE. Results of analysis can be saved, exported and reused within OBIEE. The GMIT solution can be viewed on the desktop or within a mobile device using Mobile Analytics. Data can also be extracted to Microsoft Office products. The GMIT solution gives the power to GMIT staff to enable them to invest their time in generating valuable insights which can be used to drive the Institutes educational strategy into the future.